If you are a curious backpacker, a budget traveller or someone who simply has a lot of time at your disposal, crossing countries overland is a viable option to exploring the raw, unfiltered side of Southeast Asia. Best of all, it's a cheaper alternative to paying for a budget or a full flight air ticket. Plus, trundling along the rugged trails offers a more authentic experience than any tourist attraction can offer. Of course with any other mode of international travel, all travellers should ensure they have their necessary documents in check to avoid taking the long road back to the city of departure. 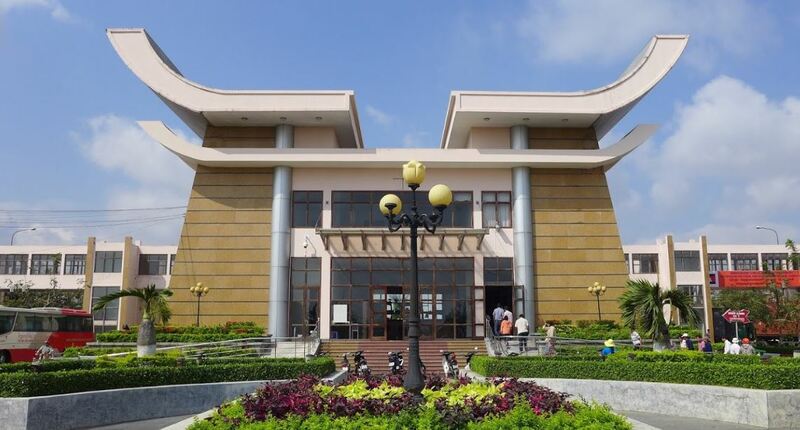 Though some borders provide visas on arrival, it is advisable to secure one prior to your transit; reviews on travel forums testify that corrupted officials at certain borders may detain and extort money from the ill-informed traveller. Do prepare extra currency if you are prepared to buy your way out, otherwise smile, stand your ground and wait until the officials give up - although, this option may cost you precious time. *Do note that there are many other overland border options, but this list only highlights the more convenient ones. Click on the icon on the top left of the infographic for an overview of the locations. 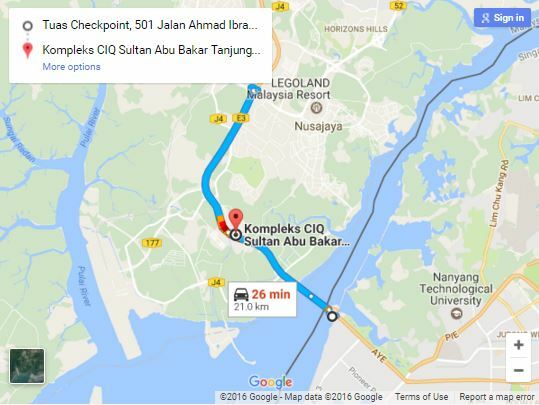 The 1km bridge across the Strait of Johor links Woodlands in Singapore to the city of Johor Bahru (JB). 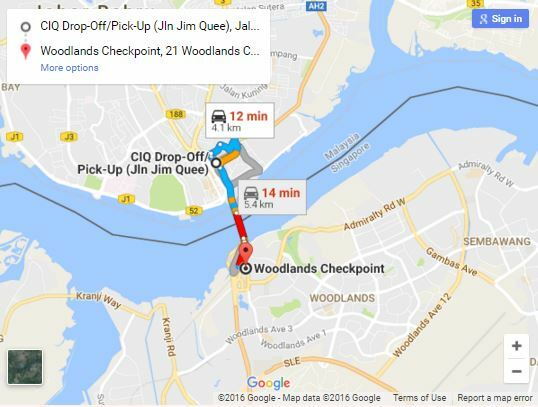 Compared to Tuas Second Link, the checkpoints at this crossing offers more transport options to the rest of the country. There are buses departing from JB's customs to Larkin Interchange - the city's main transport hub to the rest of the country. Due to its accessibility, the causeway is usually packed on holidays and weekends. 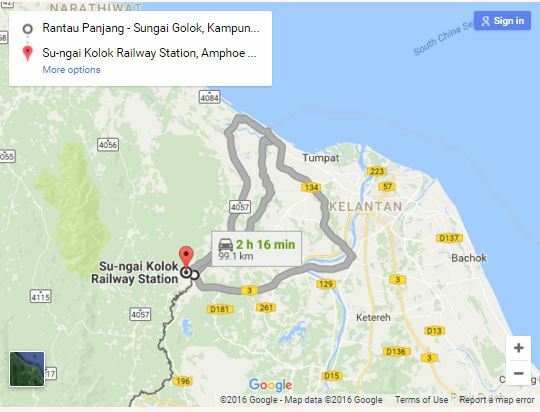 Skip the queue and opt for Malaysia's KTM train service instead. Travellers may board the train at Woodlands Checkpoint in Singapore to enter Malaysia at JB Sentral Train Station. 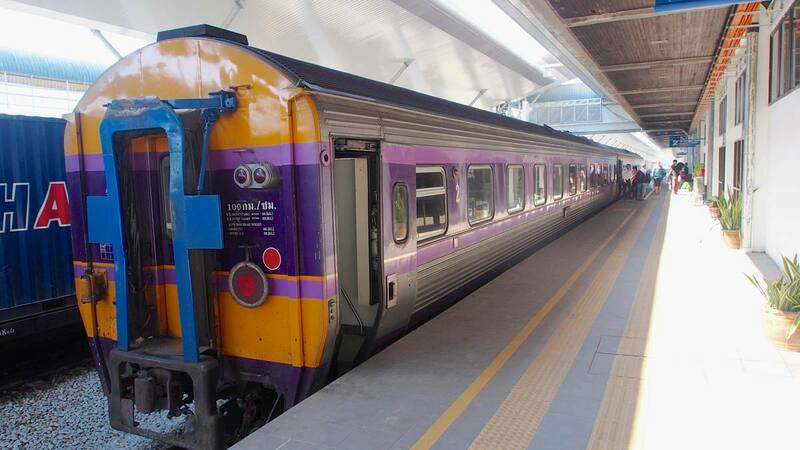 The KTM line even extends all the way to Hat Yai in Thailand. 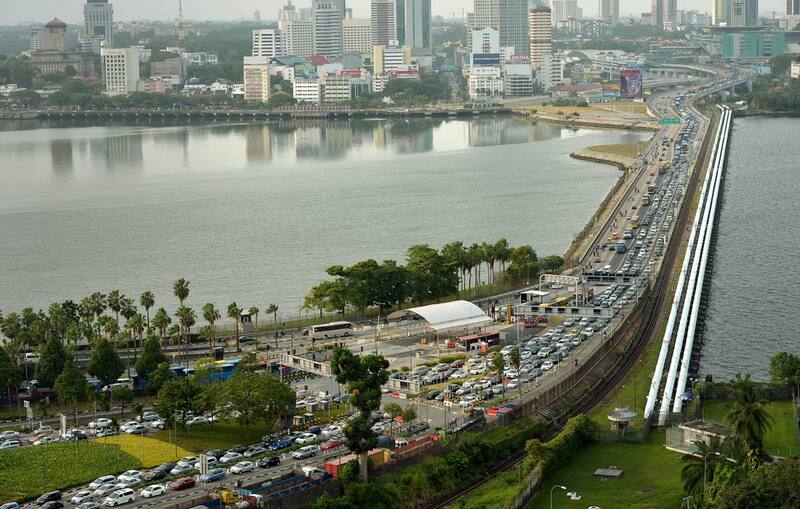 The bridge was constructed to reduce traffic congestion at the main Johor-Singapore Causeway in 1998. Spanning a total of 1.9km, the bridge connects Jalan Ahmad Ibrahim at Tuas to Kampong Ladang at Tanjung Kupang in Johor. *Tour buses prefer to take this route due to the lighter traffic. Bus agencies usually do not reveal which checkpoint they will be crossing as the route is dependent on traffic conditions or rest-stops. 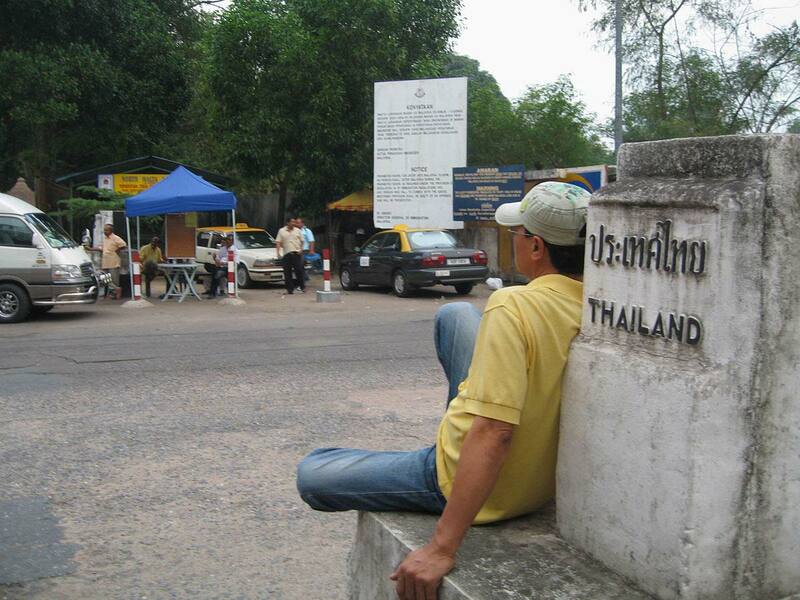 Locals and tourists alike frequently cross the border to get to the weekend market which straddles both countries. 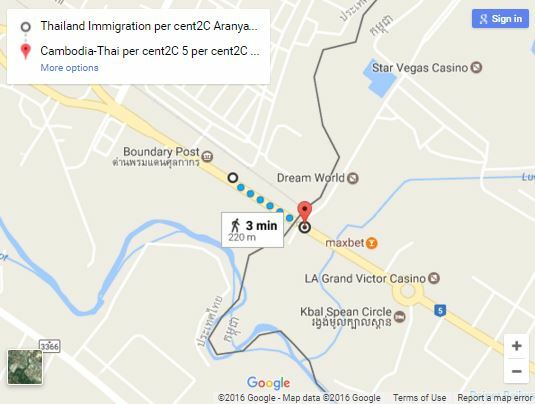 The two immigration posts are only 100m apart and can be accessed by foot. Songthaews are small passenger trucks which line the Thai border to take travellers up north to bigger cities in Satun. 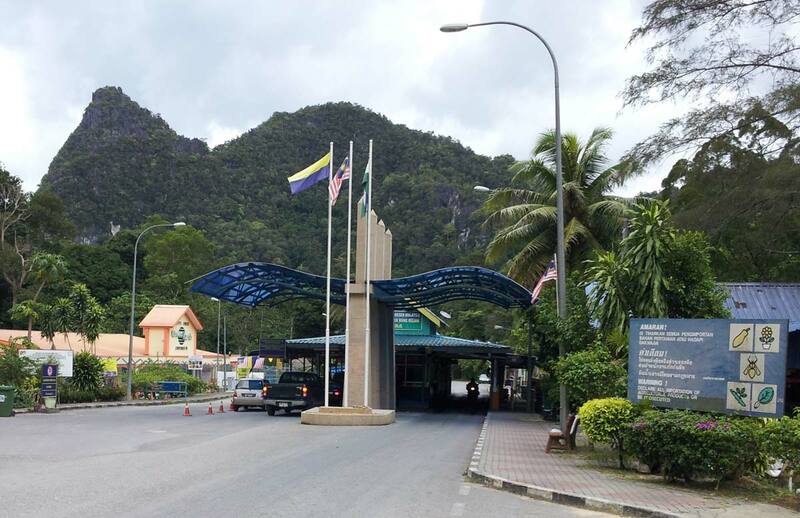 Both towns across the border bear the same name, although the one in Thailand is sometimes referred to as Pekan Siam, which translates to Siamese Town. 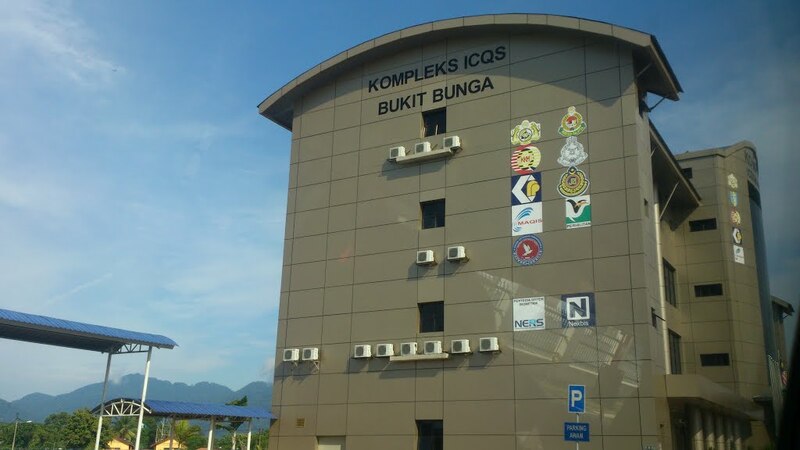 Motorists have to commute from 300m from each immigration checkpoints while those taking the train can stop at Padang Besar Railway Station in Malaysia to complete both Thailand and Malaysian immigration procedures. This is one of the busier borders between the two countries. 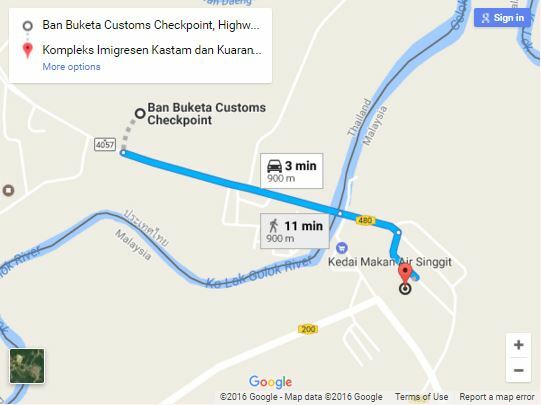 Bukit Kayu Hitam marks the end of Malaysia Federal Route 1, the longest cross-country road which starts from the southern city of Johor Bahru. 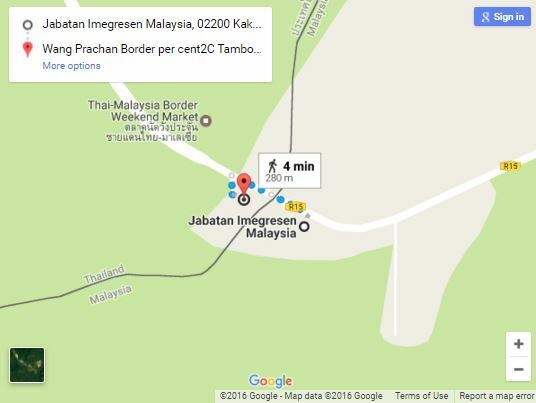 Just across the border is Sadao immigration in Ban Dan Nok, Thailand, where Phetkasem Road starts. The road is the longest in Thailand which runs all the way to Bangkok. 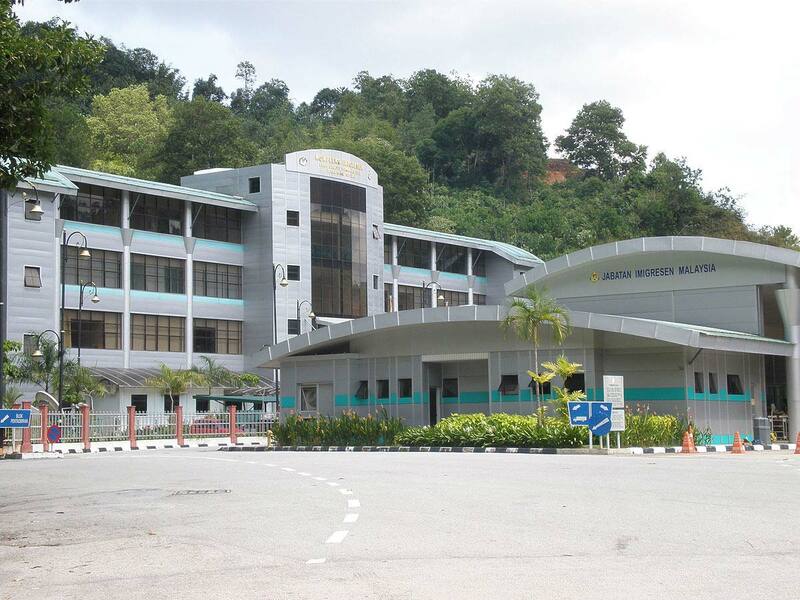 Travellers can process their documents at the Malaysian checkpoint at Bukit Berapit in Perak before heading into Betong in Thailand. 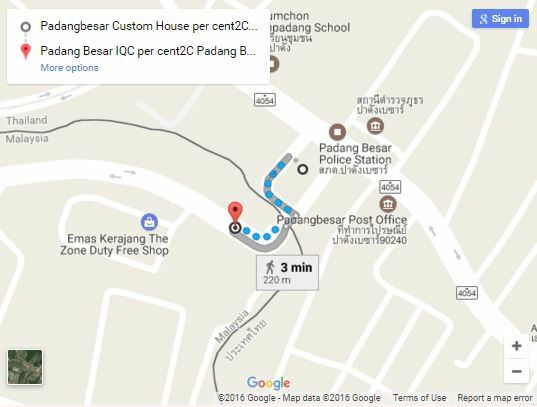 Betong is the southernmost town of Thailand and is popular with Malaysians looking for a weekend getaway. This bridge is built across the Kolok River and connects Bukit Bunga in Kelantan, Malaysia to Buketa in Narathiwat Province, Thailand. 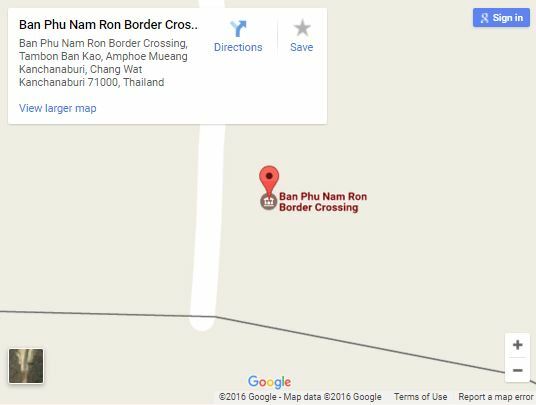 This border crossing is relatively new, having been completed in 2007. 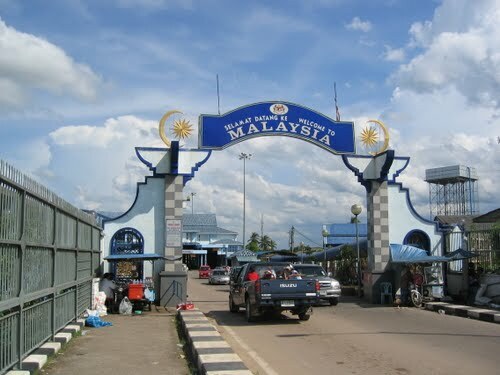 Also crossing the Kolok River is Harmony Bridge, which connects Rantau Panjang in Kelantan, Malaysia to Sungai Kolok in Narathiwat, Thailand. 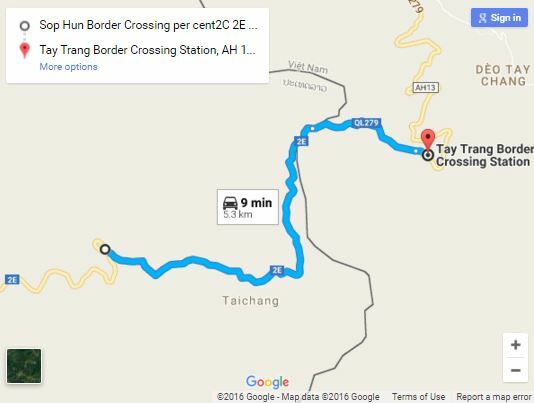 There are no cross-country buses so travellers will have to get off in between the two checkpoints, walk across to the border and hop onto domestic buses. 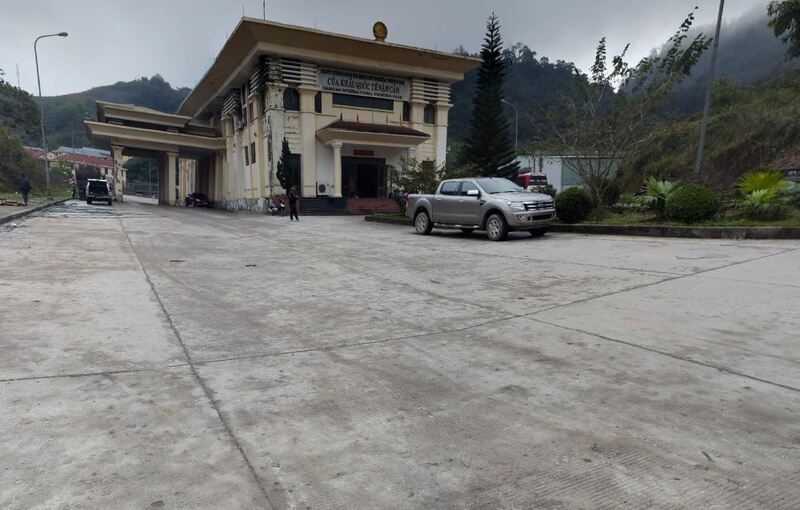 The footbridge linking Mae Sot in Tak Province, Thailand and Myawaddy in Myanmar's Kayin State is a popular border crossing due to its proximity to Myanmar's notable attractions like Mount Kyaiktiyo and Hpa An. There are many motorbikes on both sides that offer fast connections to cities' main bus station. Mae Sot also has daily direct flights to bigger Thai cities like Bangkok and Chiang Mai. Interestingly, Thai baht is the main currency in Myanmar's Tachileik. Travellers can commute onward to Kyaing Tong where they can access domestic flights to Mandalay, Yangon and Heho. 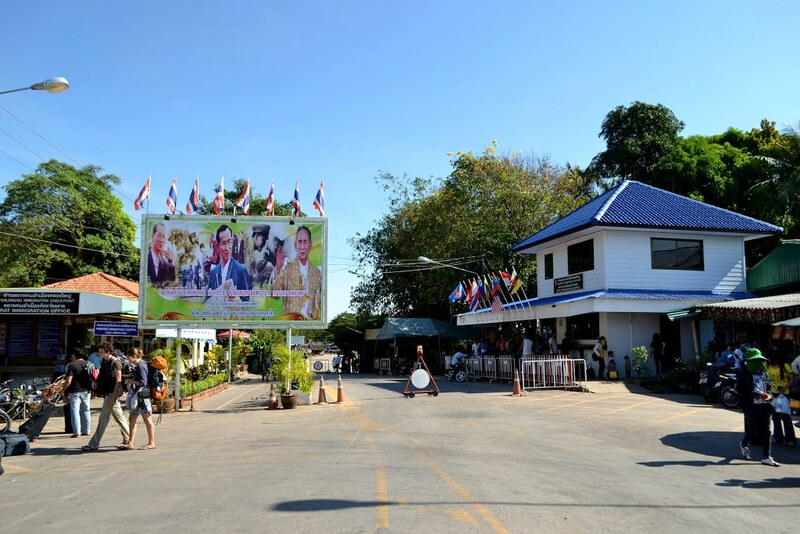 Travellers departing from Thailand can take a bus from Kanchanaburi to the border at Phunaron. 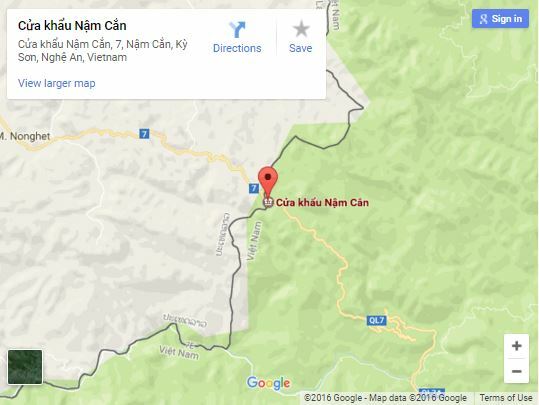 From here onwards is a six-km stretch of no-man's land before the Myanmar border starts. 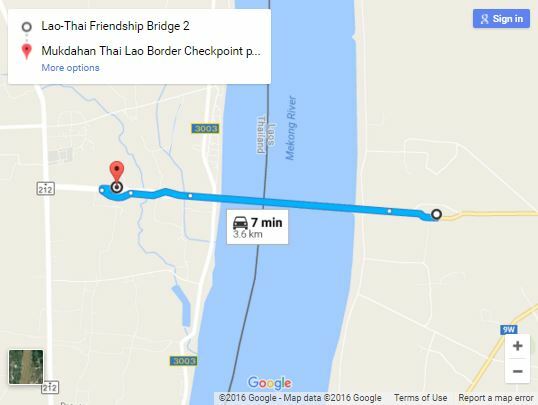 The checkpoints however, are separated by 1km and travellers can hitchhike to get to either building. 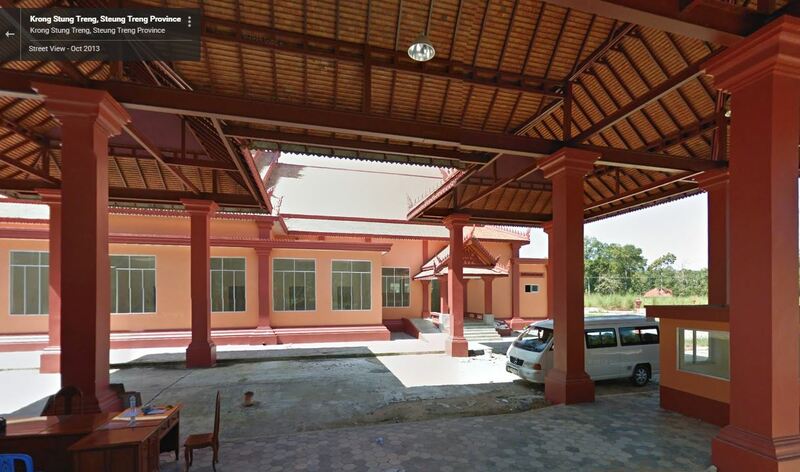 Once at Htee Kee, hop onto a minibus or a taxi to get to Dawei. 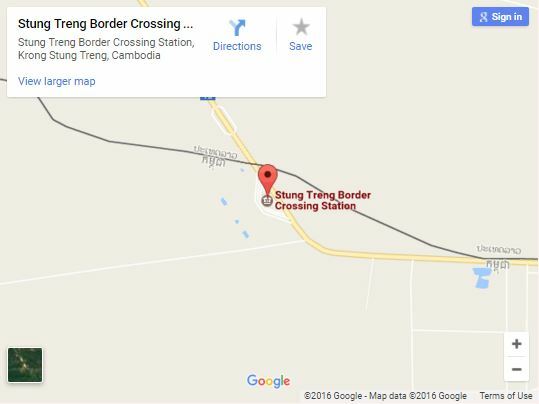 This border crossing is the most popular overland route for travellers who want to commute between Bangkok and Siem Reap. 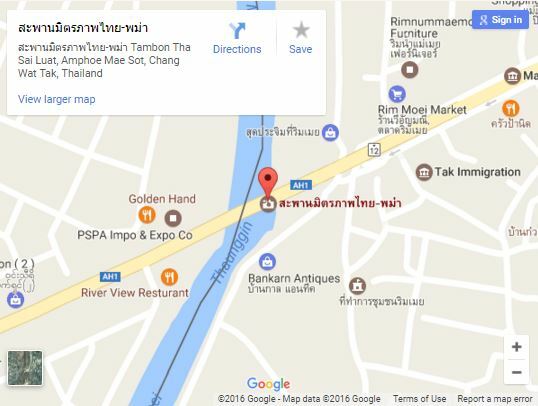 There are buses at Rong Klue Market on the Thai side that will take travellers directly to bigger towns like Bangkok, Pattaya and Chanthaburi. Reviews on most travel sites state Poipet as a seedy place with nary a proper transport network in sight. 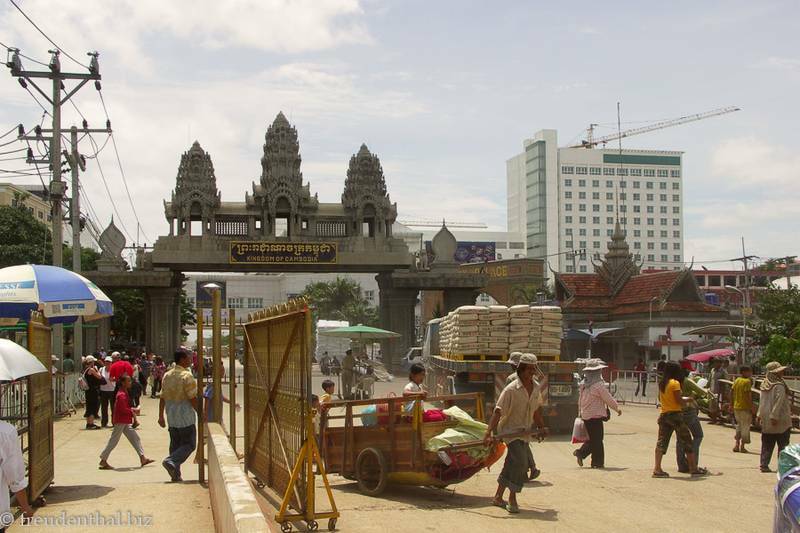 A tip is to head straight to the roundabout near the Cambodian immigration post to flag a minibus or a taxi. Bribery is common here, so either pay the price in US dollars or stand your ground and negotiate your way out. 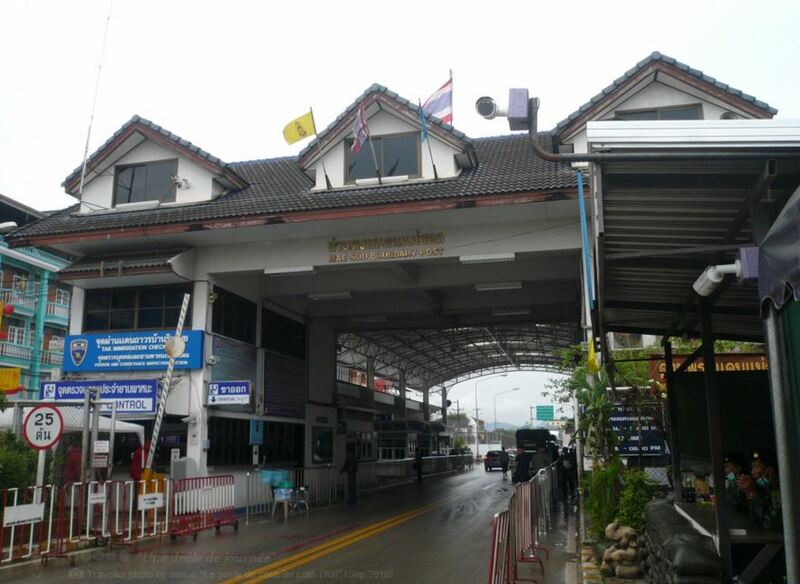 The Hat Lek-Koh Krong crossing is convenient for those visiting Thailand's Ko Chang (Elephant Island) or Cambodia's Sihanoukville beach. Buses from the Thai side stop around 70m away from the immigration post. 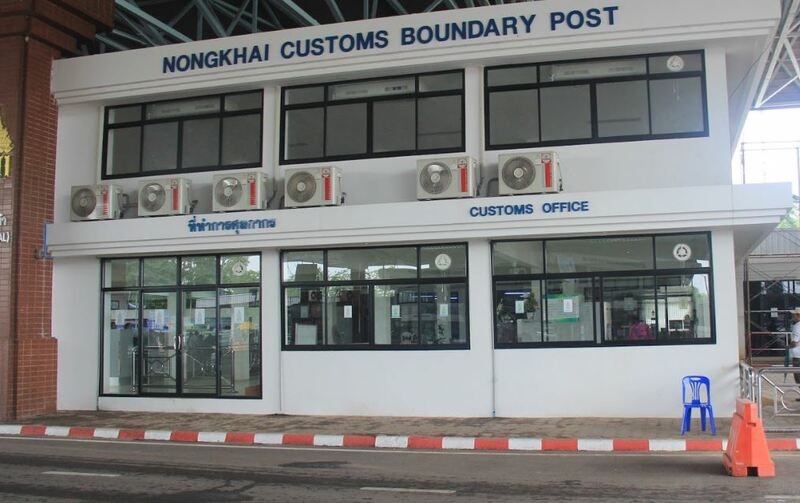 Clearing customs here is a breeze, but the same cannot be said of the Cambodian side. 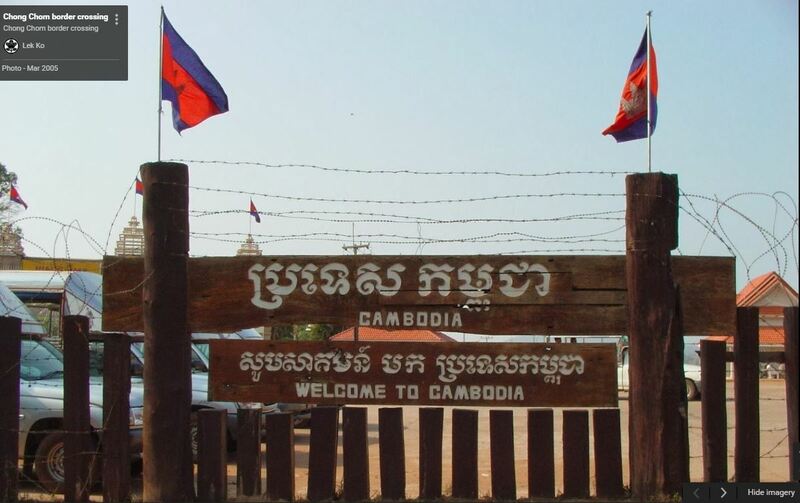 Bloggers and travel sites have written lengthy reviews of unscrupulous Cambodian border officers who have no qualms about detaining travellers and forcing them to cough up a high amount for visa on arrival or for a 'health check-up'. It is best to come prepared with a visa and ignore any calls for money. This is a viable route for travellers shuttling between Thailand's Surin Province and Cambodia's Siem Reap. Unlike the busier crossing at Poipet, the exchange here is quieter with lesser touts. It is also not as accessible as the other two borders. Buses are readily available on the Thai side to Surin for about 1.5 hours. Travelling to Siem Reap from O Smach is slightly trickier as travellers have to flag down a share taxi and there are no public transport options at hand. 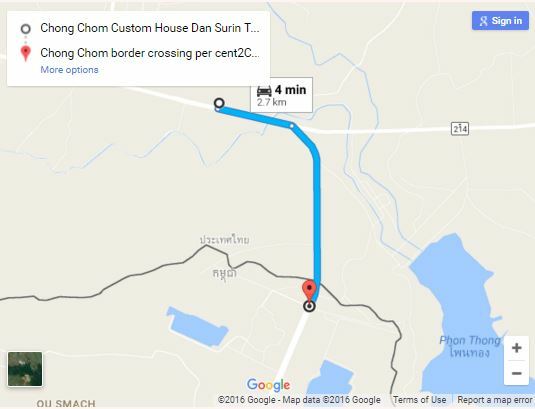 The Chong Mek-Vang Tao crossing is a convenient choice for travellers making their way from Northern Thailand to Southern Laos. Travellers can hop onto a regular bus service from the Thai side to Ubon Ratchathani. The journey takes around 1.5 hours. 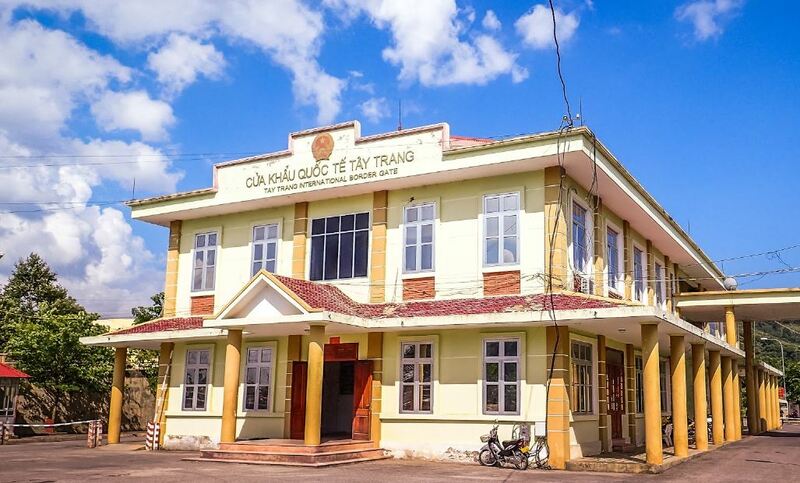 There are also regular transport services from Vang Tao border town to the bigger Lao city of Pakse. The journey is about an hour. The first Thai-Lao Friendship Bridge over the Mekong connects Nong Khai province with Vientiane, the largest city in Laos. 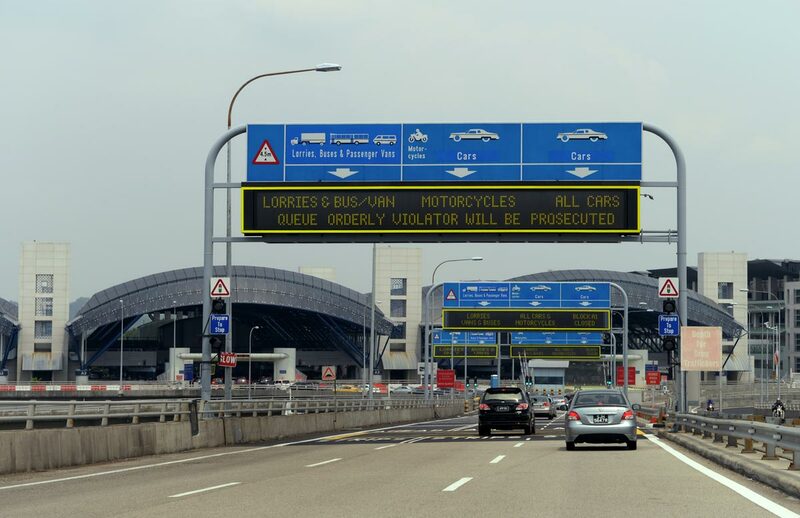 Travellers can opt to walk across, board a shuttle bus or take a train via this route. 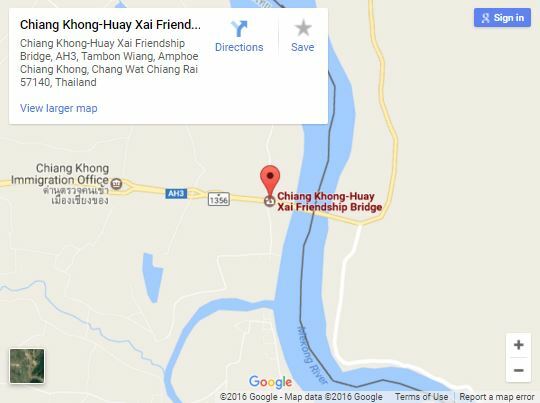 The second Friendship Bridge stretches across the Thai-Lao border here. Minibuses from Mukdahan, Thailand take travellers across the Mekong River and into Savannakhet. The regular bus service departs twice every hour. 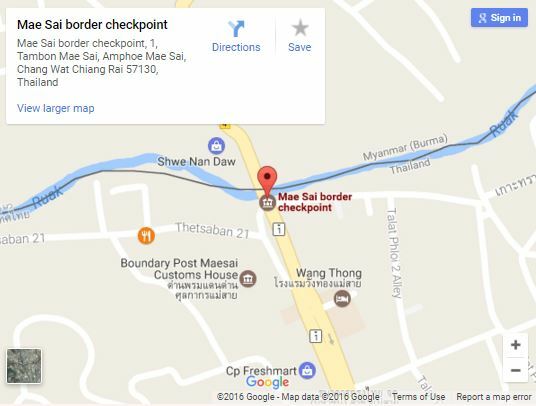 Travel reviews tout this border crossing as a convenient way to get from Chiang Rai in Thailand to the popular Luang Prabang area in Laos. 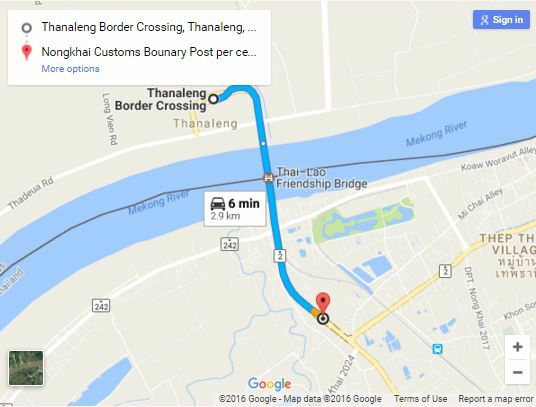 Travellers can take buses from The Transport Company in Chiang Rai directly over another Thai-Lao Friendship Bridge and into Huay Xai. 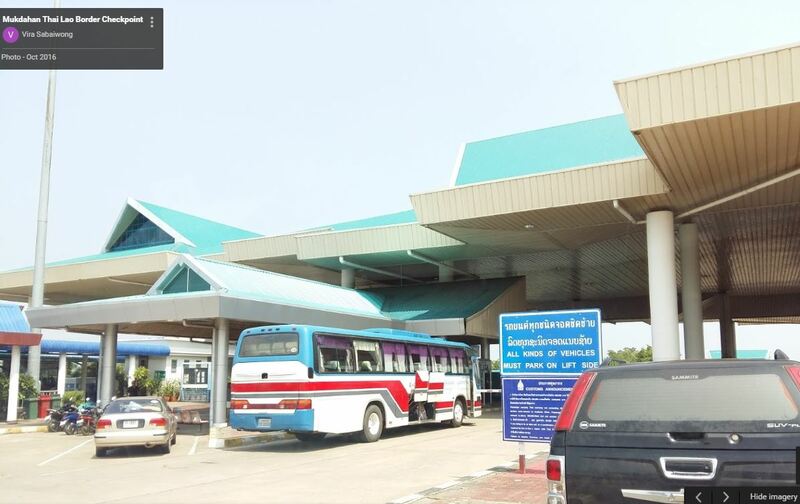 The bus service terminates at Huay Xai Bus Terminal where travellers have to disembark and find their own transport to the city centre. 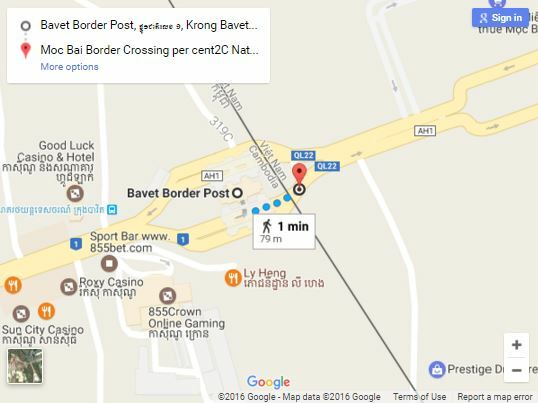 The Moc Bai-Bavet crossing is the first border between the countries to be open to foreigners. The crossing is convenient, with buses commuting directly from the big cities of Phnom Penh and Ho Chi Minh. 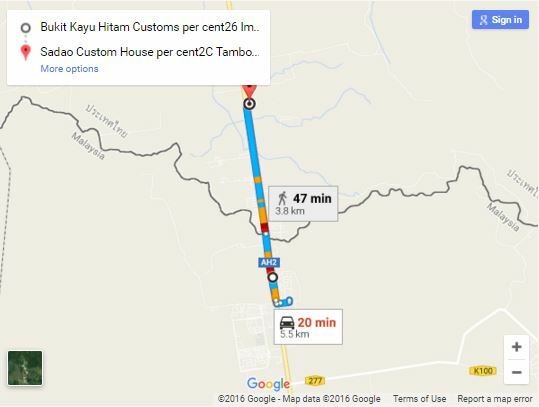 The distance spans around 150km with an estimated travelling time of six hours if traffic conditions are favourable. 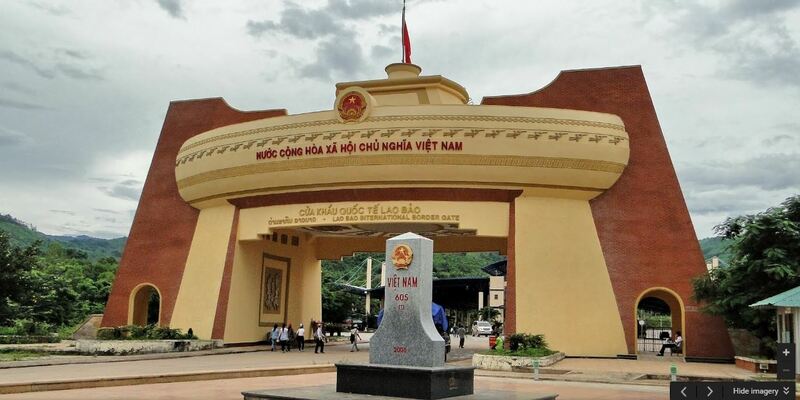 This border is becoming increasingly popular with international travellers who are travelling to and fro the northern points of Vietnam and Laos. Crossing the border here is relatively easy, but travellers must be up early as buses depart upon full capacity. Bus services leave daily at 7am from Muang Khua in Laos to Dien Bien Phu in Vietnam and 5.30am in the opposite direction. 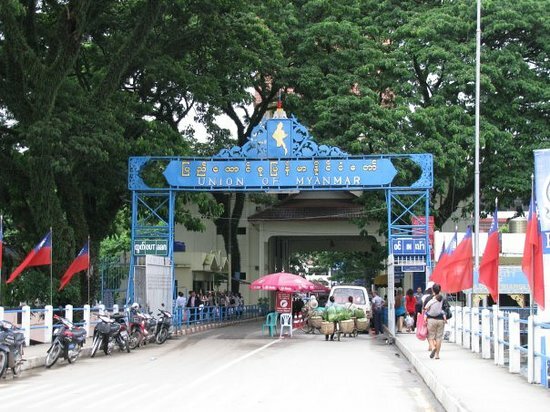 Travellers can board buses from Vietnam's transport hub in Vinh directly into Phonsavan, a popular tourist destination in Laos. Phonsavan is famously known as the home to The Plain of Jars. Bus journeys typically take around 12 hours, covering a distance around 403km. 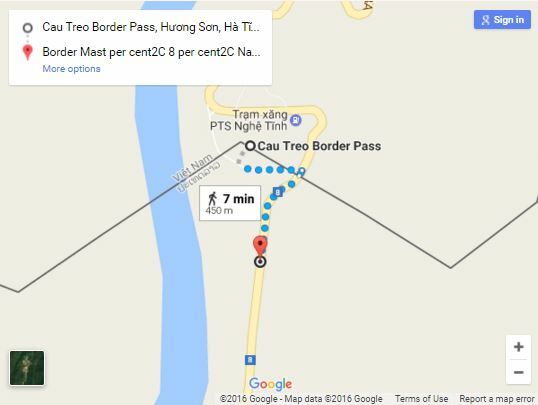 An alternative crossing for travellers coming or going to Vinh in Vietnam. 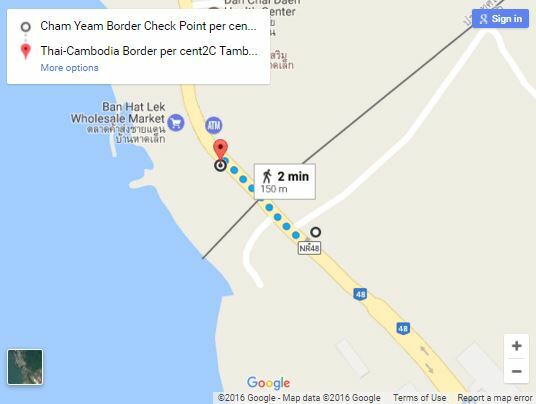 Travellers have to walk 500m between the two checkpoints but buses are available at the borders to take passengers to the bigger cities. 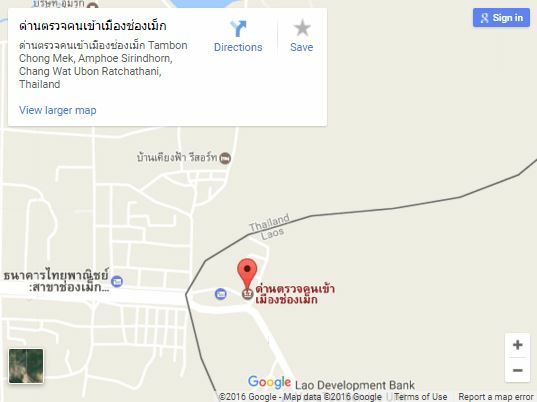 The Lao side is 34km east to the nearest town of Lak Xao. 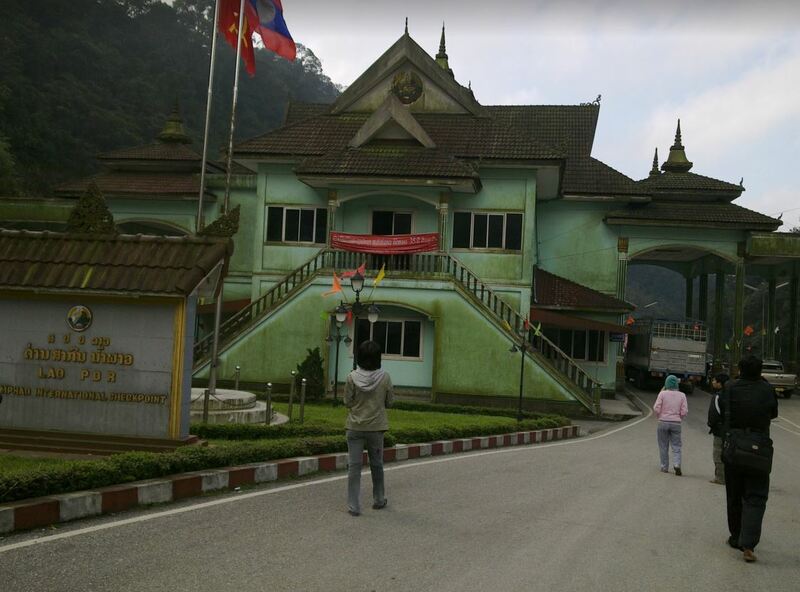 Unlike its Vietnamese counterpart, Lak Xao is a simple logging town. 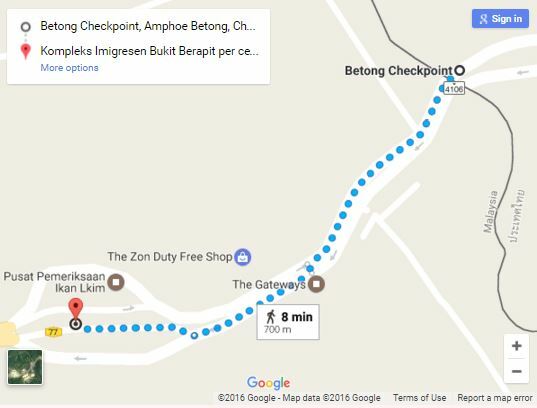 But it is fast gaining interest as a transit point for backpackers exploring the Konglor Cave loop, a nine-km caving trek. 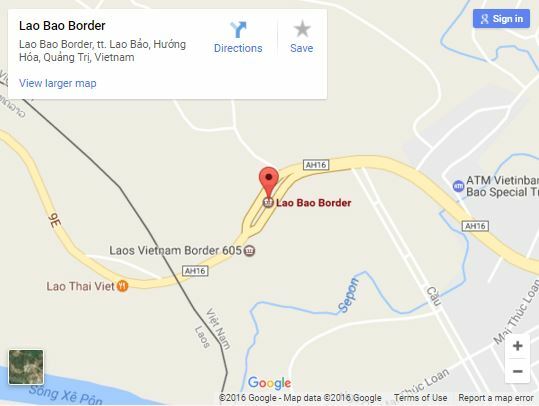 The Lao Bao-Dansavanh border is the first international overland crossing to open between Laos and Vietnam. This is a convenient route for travellers making theiur way to Hue in Vietnam and Savannakhet in Laos.